It’s now been a few months since Google released its Hummingbird update. While it affected a reported 90 percent of websites, in the main it’s been met with a sigh of relief. Those who’ve been following the rules of diligently posting quality articles feel vindicated, whereas those who’ve blindly chased keywords with thin content of no real value are being forced to rethink. If this is the first you’ve heard of it, Hummingbird is an update which has enabled Google to return results based on the ‘semantics’ of the search query. In other words, it can now interpret the meaning of the question based on the words surrounding the keyword. To give you an example, before the update if you’d Googled ‘how to change a sparkplug’ you likely would have received sites advertising car parts and repair garages. But now Google is more likely to return websites offering specific answers to the question, even if the website has done no deliberate link building at all. So is SEO copywriting dead? There’s little debate that the SEO tactic of buying hundreds of poorly researched 300 word articles, vaguely based around a single keyword, has had its day. Google has got too clever. Instead what is needed is in-depth stuff. We’re talking 700-1000 word articles which cover all the facets of a topic in more detail than before . Internet marketers have known this for some time. What’s changed is that Google Hummingbird has suddenly brought it into the spotlight as the only way to produce SEO copy going forwards. Whilst saying SEO copywriting is dead makes good link bait, it’s not true. As with every tactic, seo copywriting just needs to make an update of its own. You can stop worrying about ‘keyword density’ and ‘keyword architecture’. Instead, focus on identifying common customer questions and then creating content that answers them in a more comprehensive way than before. The quality levels we’re now talking about aren’t easily achieved without research, planning and a healthy dose of grey matter. This takes time, which can only be a good thing when negotiating your fee. A couple of years back I wrote a blog series on improving website conversion rates. This was largely inspired by Ben Hunt’s excellent book ‘Convert!‘. Whilst a few years old now, his core message on creating a website that attracts people at different stages of the buying cycle and then taking them on a logical path of thought that answers their questions, resolves objections and builds trust is valid as ever. Following the Hummingbird, this approach has become more powerful now that it’s easier to rank for specific search phrases, rather than fighting over the same keywords. To take advantage, it’s a good idea to produce content for different stages of the buying process, (i.e. research, awareness, convince), and then to link it all together in a cohesive pattern. Blogs provide the perfect platform for publishing this FAQ style content. You can drip feed it to subscribers to push them along the sales funnel, it helps to build trust in your expertise and generate more sales as a result. Whoever said blogs can’t have an ROI? Hopefully I’ve got you nodding in agreement that creating in-depth content that answers real questions is the future of seo copywriting. But creating the content is only half the battle. You also need to promote it in social media. This is another area where Google is getting more sophisticated, with the ‘social signals’ of Facebook Likes, Tweets and Google+s letting it know that a website gets the nod of approval from real people. Instead of just hitting post and hoping for the best, smart marketers are now looking for other people covering the same topic or people looking for the answers you’ll be interested in their articles. The most clued up ones are even doing this research beforehand to identify the hot topics in their industry. Thankfully, there are some great tools you can use to do this. Social Searcher, for example, allows you to scan social networks for keyword mentions while Boardreader can do the same job for forums. With these, you can find people discussing the same topic and reach out to them with some helpful comments and a little nudge back to your website. It may be time consuming, but promoting your content in this way is how successful affiliate marketers and blog owners now build traffic to their sites and boost their SEO ranking at the same time. So what is the impact of Google Hummingbird on SEO copywriting? Ultimately it’s simply legitimised the tactics that ethical marketers have been using for years. Creating in-depth content that addresses customer questions and sells through education is just plain common sense. It’s just that following Hummingbird, it’s effectiveness has been given an extra boost. 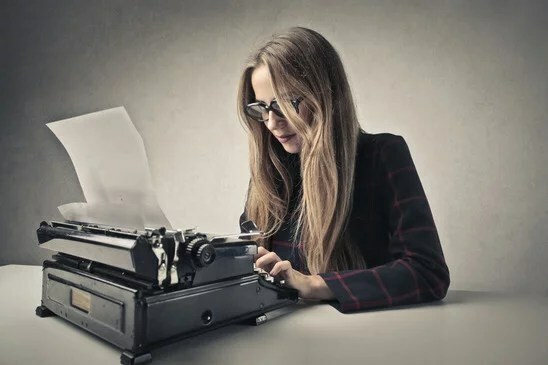 The benefit for us copywriters is that businesses will need to invest if they want to get long-term SEO improvements, traffic and conversions from their online marketing strategy. This can only be good news for SEO copywriters with the research and writing skills such a strategy requires.